So, this is stupid and decadent, but just for kicks I went for my first professorial manicure. 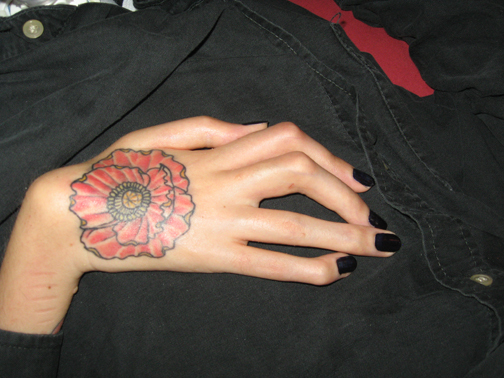 I think the polish looks nice with the tattoo. I’ve had my nails polished before, but I’ve never had my hands fondled by tiny Vietnamese women.